Everyone occasionally has diarrhea. Diarrhea generally poses no health threat, but chronic diarrhea may indicate something more serious—and potentially life-threatening. 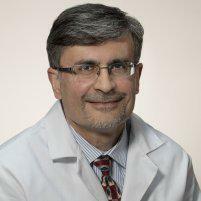 Dr. Ilyas Memon, MD is a board-certified Texas gastroenterologist who has successfully treated many patients with diarrhea in the The Woodlands and Conroe, Texas area. Diarrhea is loose or watery bowel movements that are larger in volume than normal and occur more frequently than normal. A typical bout of diarrhea lasts a day or two, but sometimes it can be more chronic and last for weeks. Chronic diarrhea can be a sign of a more serious gastrointestinal disorders, such as inflammable bowel disease (IBD). Less serious conditions, such as irritable bowel syndrome (IBS), can also be accompanied by chronic diarrhea. Several things can cause diarrhea. Eating too much food and/or eating too fast—or both—can cause diarrhea. When food travels through the colon too quickly for the colon to absorb liquid from the food, it becomes a watery stool instead of a solid one. Viruses such as viral hepatitis can cause diarrhea as can bacteria from contaminated food and water. Diarrhea is also a common side effect of certain medications, like antibiotics. People who are lactose and fructose intolerant may experience diarrhea after eating dairy and fruit. Some artificial sweeteners cause diarrhea. Certain medical conditions, such as colitis, celiac disease, and Crohn’s disease can cause diarrhea. Diarrhea is a common post-op symptom experienced by persons who have had abdominal surgery or gallbladder removal. Children with diarrhea lasting longer than 24 hours should be taken to a doctor right away, especially if it is accompanied by fever, black or bloody stools, dry mouth, drowsiness, irritability, or any other symptoms of concern. If you have chronic diarrhea and live in the The Woodlands and Conroe, Texas area, give the office of Dr. Ilyas Memon a call today to come in for an examination and see what course of treatment will work best for you.